Cubix is an expert in delivering high performance and scalable enterprise mobile apps in Android and iOS. Want To Know How To Excel At Mobile App Development? Mobile app development holds a gigantic chunk in the economy, estimated to be valued over $6 billion by 2023. 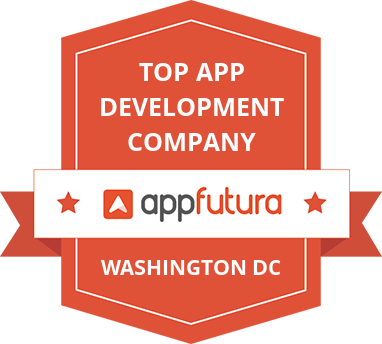 We have been in the frontline of mobile app design since we began our journey in 2008, today we are recognized as one of the world’s most desired app development companies. Our skilled team of developers, designers and strategists are fuelled with creativity and are passionate about app design. They know how to build top selling apps successfully that will top the app store. It doesn’t matter if you are a small-scale business, a unicorn startup or an enterprise, our development process stays the same, which has awesome written all over it. We begin by asking the number one question “How can I turn my idea into a successful app”. “An app that becomes an integral part of everyone’s life”. The answer: our app development process. We want our apps to be intuitive, appealing, robust and friendly. We aren’t in a rush to escalate your project as we believe in detailed evaluation of a product, through various stages including Planning, sketching, wireframing, prototyping, developing, quality assurance, and launching an MVP. Our goal is to create mobile apps that are bound to rake in popularity, downloads and marvelous word of mouth. For us, building an app is basically creating a solution, a performance oriented piece of art and a lifestyle toolkit. It’s a creative way for users to delve into services and ideas that couldn’t be touched before. For this reason, our mobile app design process starts with a detailed analysis of the product’s major elements as well as the experience you want for your users. How will it fit in with the target audience and how will it feel? We follow a seven-step agile development process to enable thorough feedback and experimentation in the product development and design stages. Our developers are equipped with the know-how to deal with every minute requirement of the iOS and Android platforms. They know how to create a robust and brilliant architecture. They implement continuous input from clients, user testing and team feedback throughout numerous sprint cycles that enables ongoing refinement. The result is a spectacular app designed to be integrated into people’s daily routines, in every aspect of life while they are playing, exploring or working. From the Google Play Store to App Store, you will find stunning apps that have gone through the Cubix’s rigorous app development process and they offer an experience not to be missed. We have built apps for every niche be it trivia, e-commerce, e-learning, etc. While we earned the rating of top app development company from Clutch, we are proud that we house some of the top app developers, designers, and strategists in Cubix. The mobile economy is booming at lightning speed. Truly, the future of mobile apps is enormous. We have been in the technology space since the beginning and our specialty is creating apps that are breathtakingly beautiful, powered by a smooth user experience. We dwell on your idea from its inception to build apps that are bound to be the best. Our mobile app development process is known for its persistence, creativity and agility. Team Cubix uses their knowledge about responsive design, graphical aesthetics and compassionate UI/UX. When it’s time to release your idea into the market, contact us. We will create a superlative app for you while walking you step by step through the entire process, from the very first phase of ideation to the final phase of design and development. Want to jump on the tech train? Say hello. Building an Mobile app is a hefty task and it involves various teams and procedures to attain the finished product. If you aren’t aware of the process of developing an Mobile app at Cubix, here is a brief guide of how we do it.